Home Audit SharePoint SharePoint Online How to Configure Audit Log to Capture All Deletes in SharePoint? 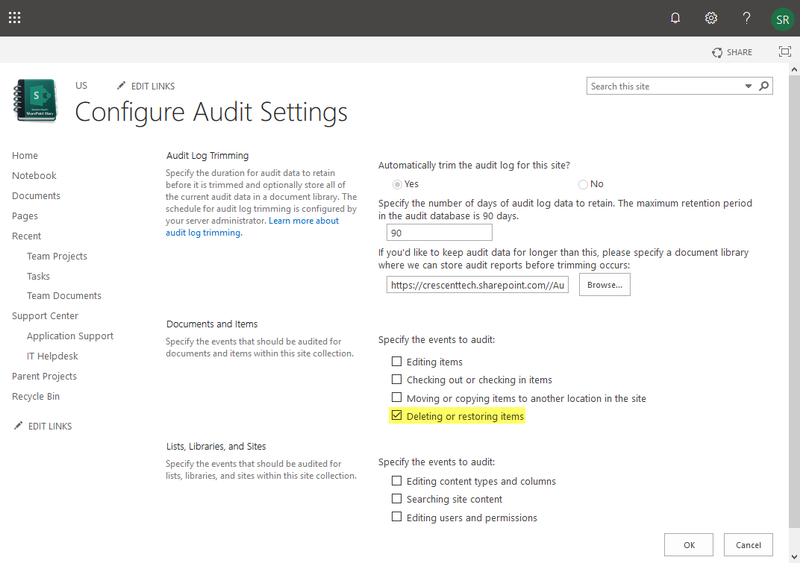 How to Configure Audit Settings to Track Deletes in SharePoint Online? Go to "Site Settings" >> Click on "Site collection features" under "Site Collection Administration"
Find "Reporting" Feature and Click on "Activate". Go to "Site Settings" >> Click on "Site collection audit settings" under "Site Collection Administration"
Enable "Deleting or restoring items" Checkbox and Click on "OK"
Go to "Site Settings" >> Click on "Audit log reports" under "Site Collection Administration"